This website uses it's own 'cookies' and from third parties to offer a better experience and service. By surfing or using our services, you accept the use we do of 'cookies'. Although, you can change the 'cookies' configuration at any moment. 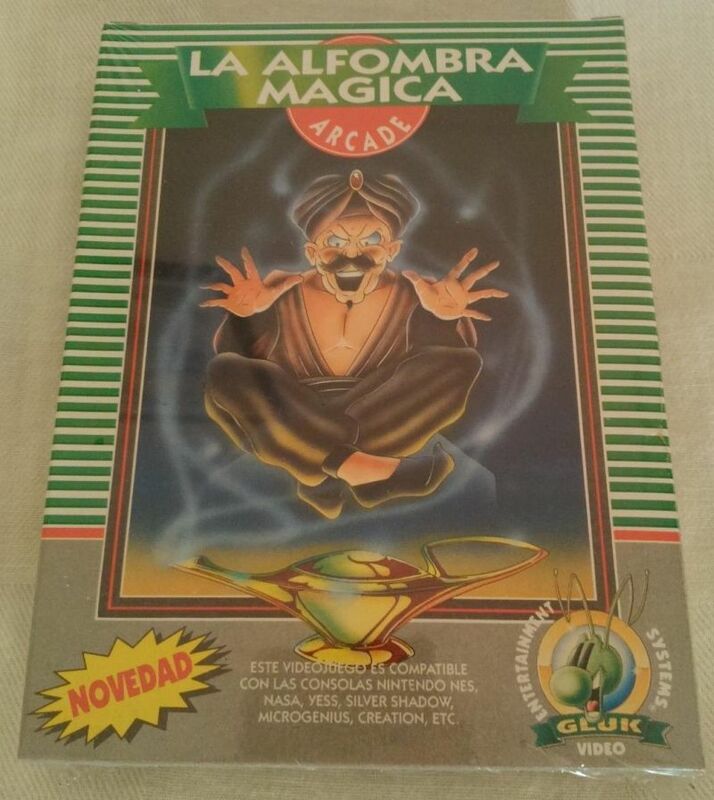 12/11/2018: New section of "Advertising", more prices of the "Games" (including a 3x2 offer) and of the "Consoles"
09/06/2018: New scans for "Cosmos Cop" and "Adan y Eva", more prices of the "Games"
21/07/2017: Added new GLUK game!!! 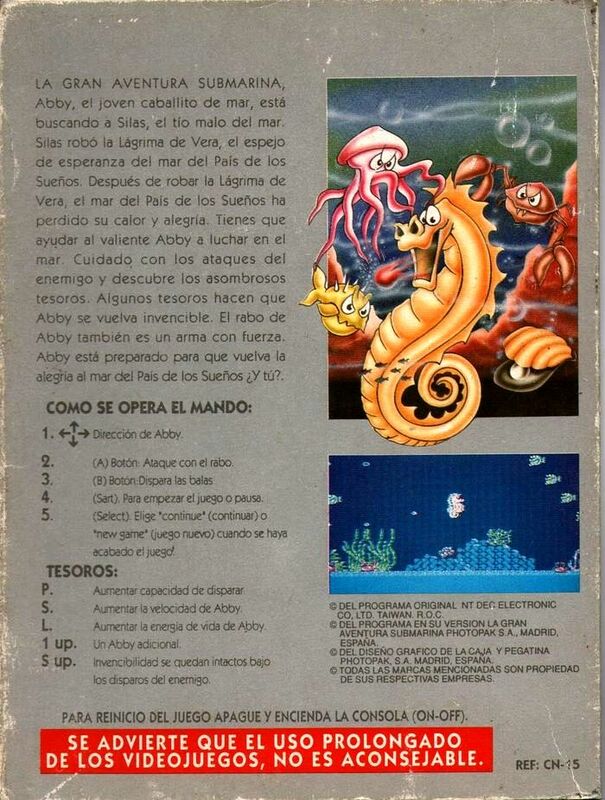 "Comando de Lobos"
16/04/2017: New scans of Creatom and Puzzle, new pcb photo of Adan y Eva, better descriptions of the pcbs. 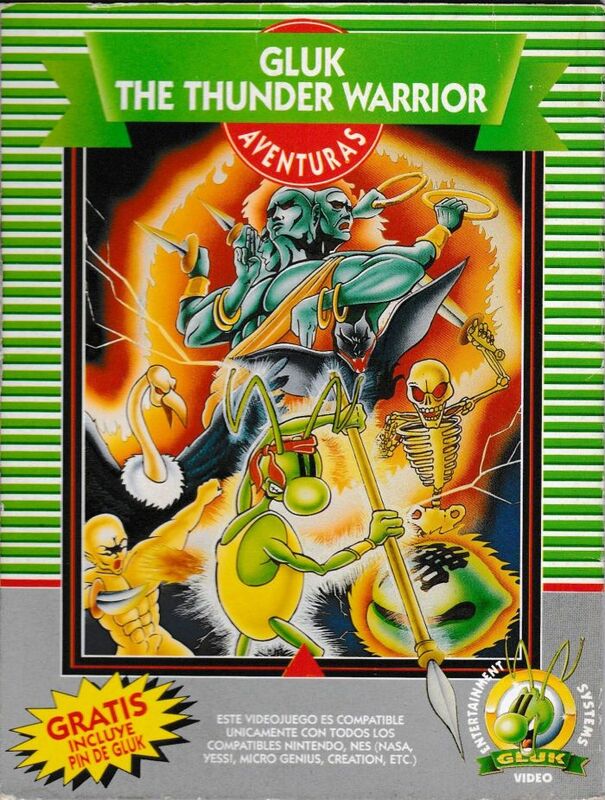 Used in the 6 games from TXC except in "Gluk the Thunder Warrior". 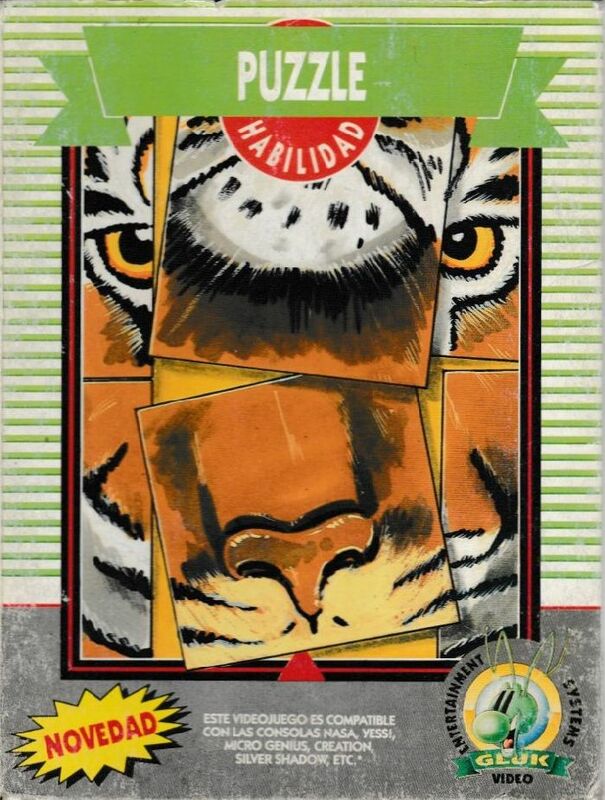 The background of the box is white, with clear green stripes on the top and a grey zone on the bottom. 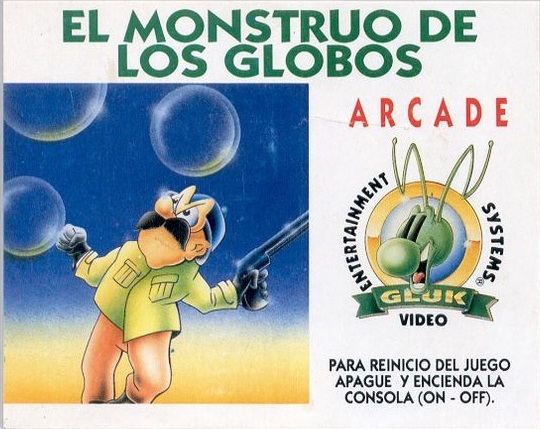 The front contains in the bottom left a star that shows "NOVEDAD" and on the bottom right the Gluk Video logo, on the top part it's stated the name of the game in white over a green band darker, below that a red circle denotes the genre of the game in white letters. On the top, it has black print inside the box. 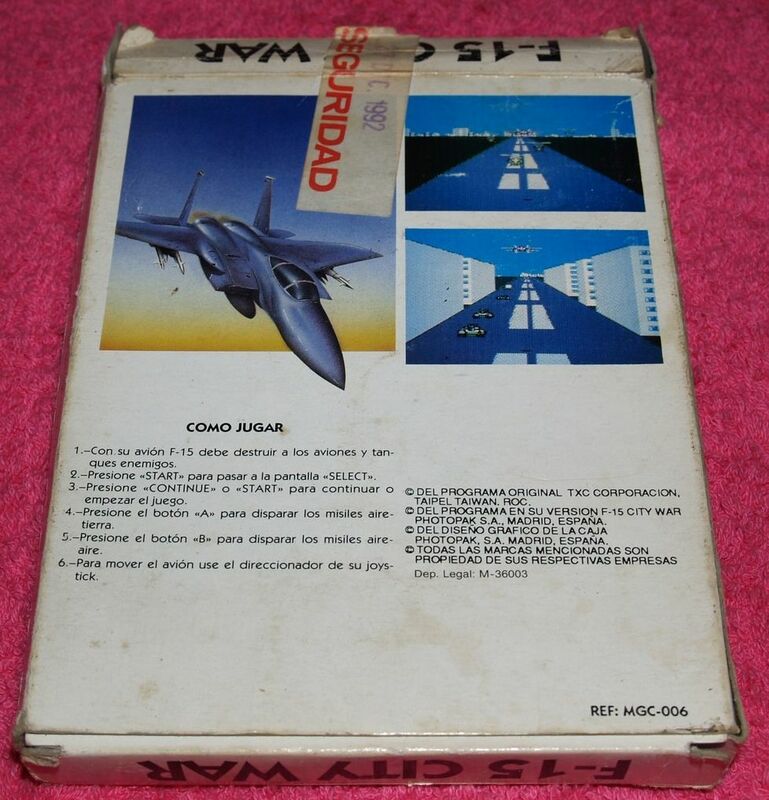 The back part contains images of the games and the instructions to play them. 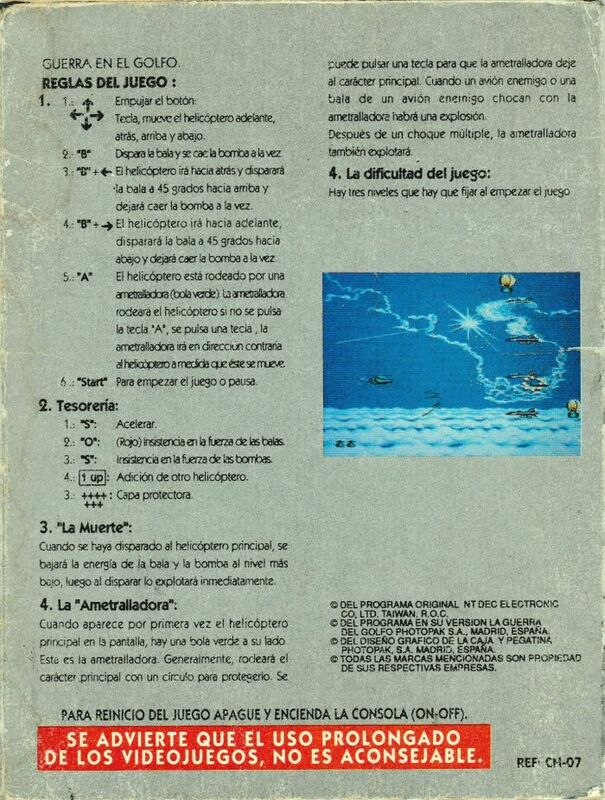 These instructions have a decent translation to Spanish, it's very likely they were done in Spain. 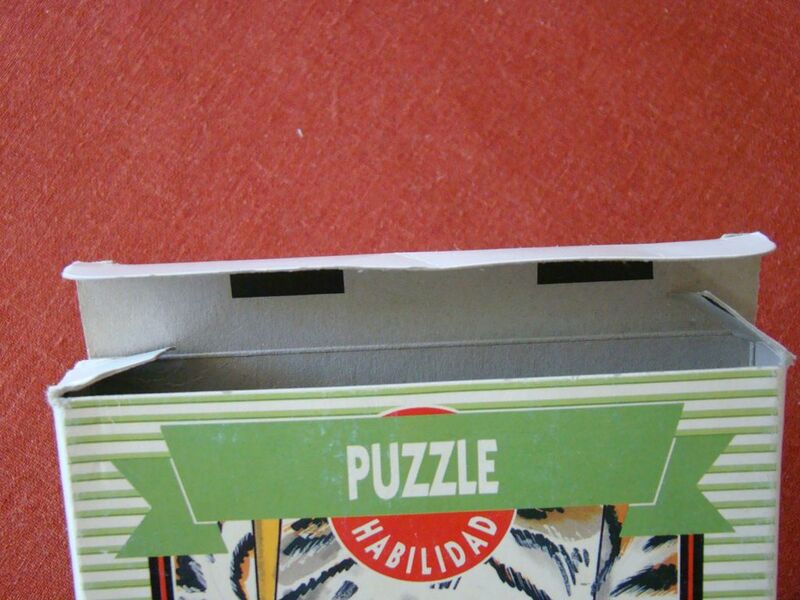 -A label closing the uppper part of the box dated December 27, 1992. Used on the 12 posterior titles. With wider and darker green stripes, a grey background and right,top and bottom show the game title on dark green letters. 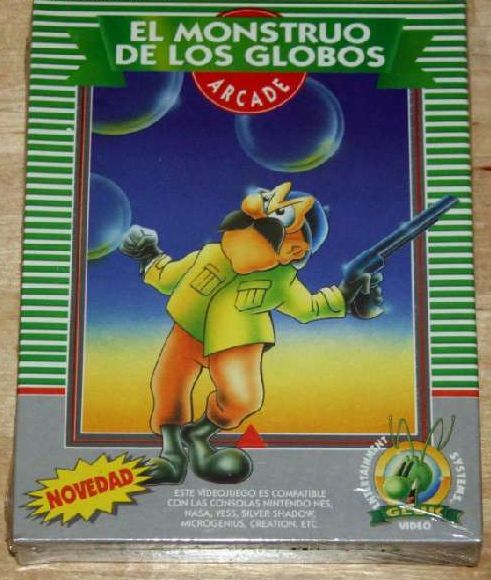 The front contains on the bottom left side a star that can contain "GRATIS INCLUYE PIN DE GLUK", "NOVEDAD" or "8-BIT" and on th ebottom right the Gluk Video logo. On the top it's the name of the game on white over a green ribbon now darker and with shadowing, below there is a red circle that has the genre of the game. 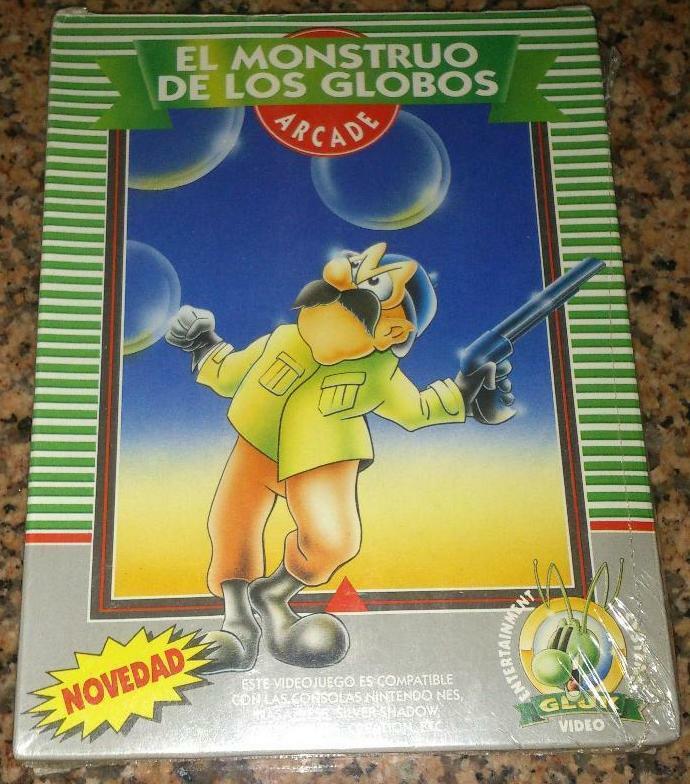 On the second batch of games the boxes were changed, these ones have better protection, like a coating of shiny plastic. 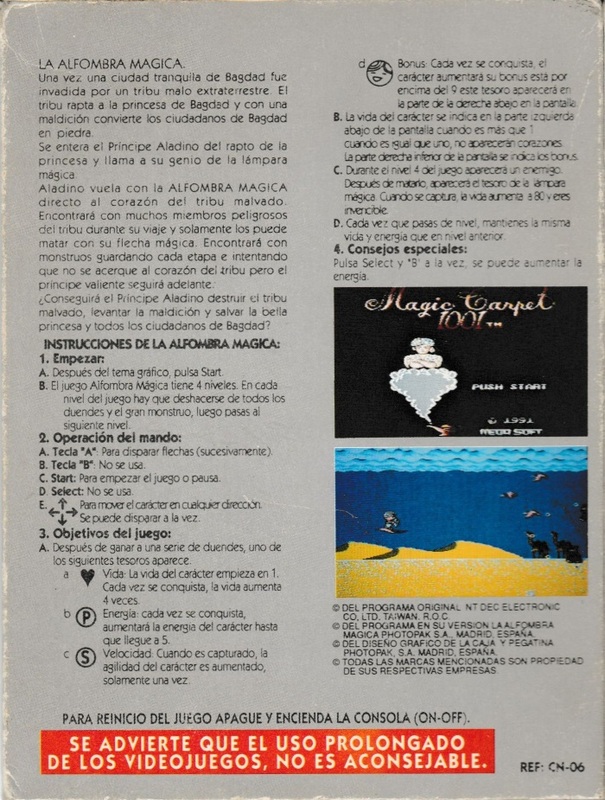 The back part contains images of the games and the instructions to play them. 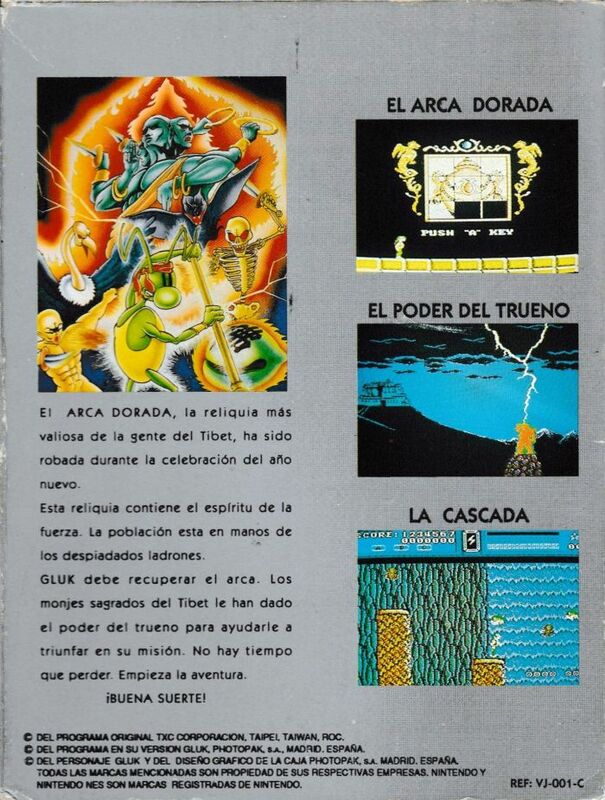 These instructions have a really bad translation to Spanish, except "Gluk the thunder warrior", with a lot of errors, it's very likely that they were not done in Spain. 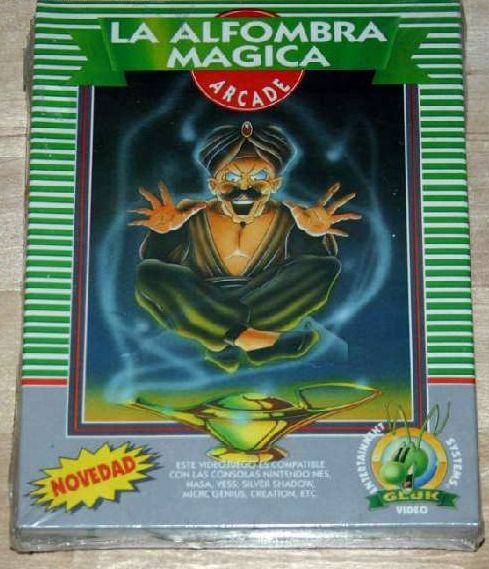 Except in "Gluk the Thunder Warrior", on the boxes appears the message: "SE ADVIERTE QUE EL USO PROLONGADO DE LOS VIDEOJUEGOS, NO ES ACONSEJABLE." 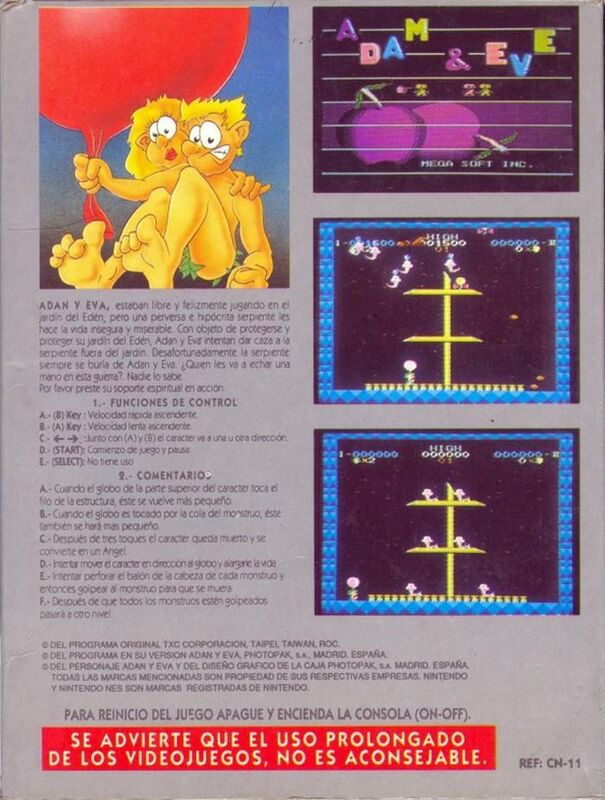 on the back, that translates to "IT'S ADVISED THAT THE PROLONGATED USE OF THE VIDEOGAMES, IT'S NOT RECOMMENDED.". 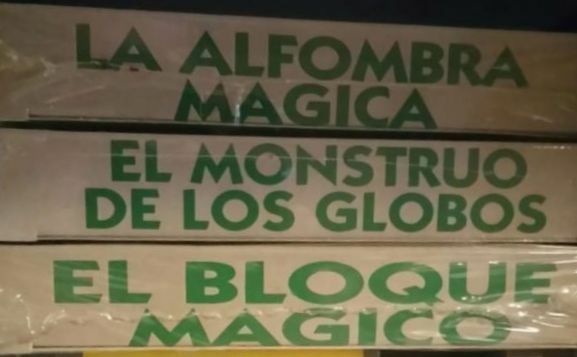 -A plastic covering the box of "La Alfombra Magica" (V2) and "El Monstruo de Los Globos" (V1 and V2), also of "El Bloque Magico", what makes us think that the third series had shrinkwrap. 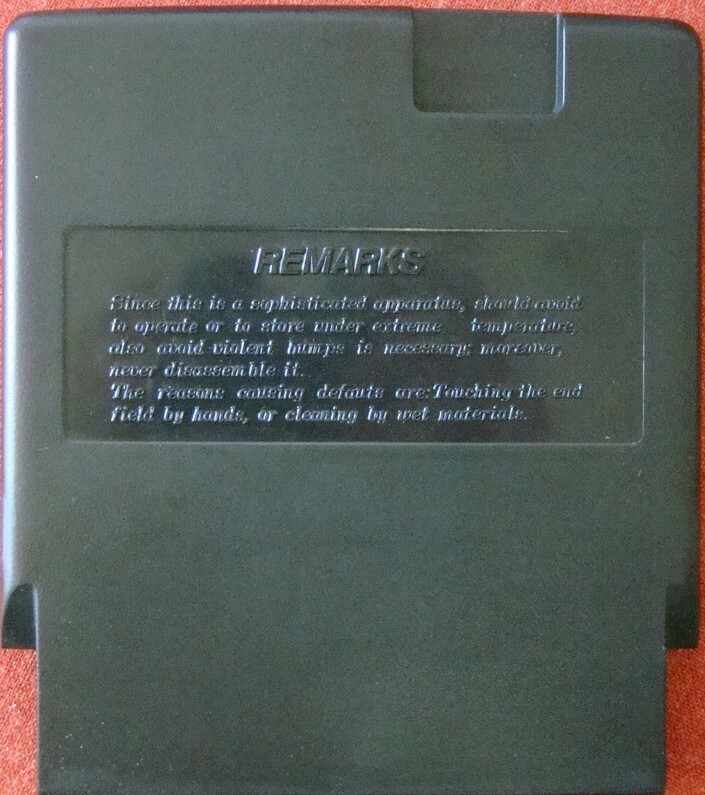 Micro Genius format, a black cartridge with borders slightly rounded, has no screws. 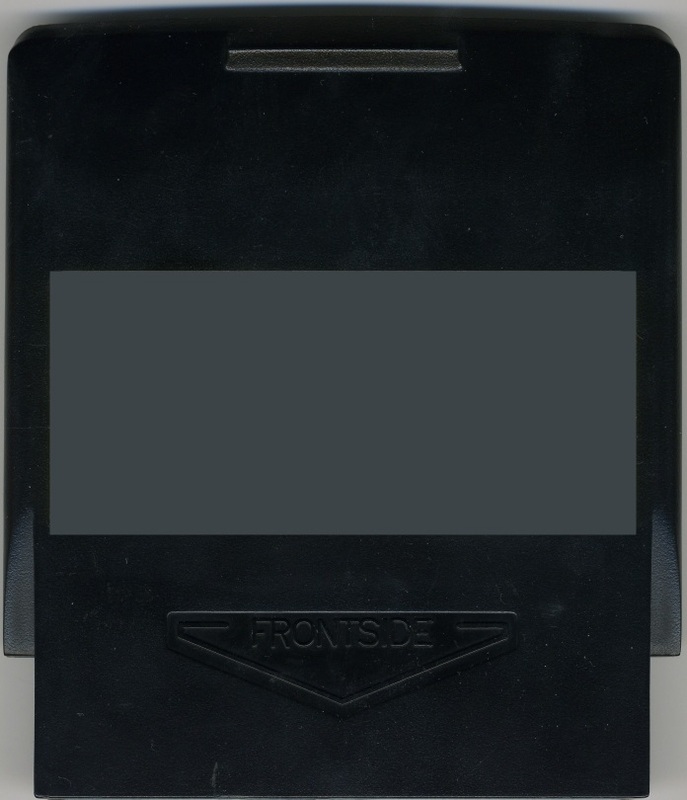 On the front side can be read "FRONTSIDE". Has a slight protrude to extract games easier and a little rectangular hole (Width x Height in mm: 100 x 45) with rounded edges that accommodates the label. field by hands, or cleaning by wet materials. In a square hole of (Width x Height in mm) 97 x 47. 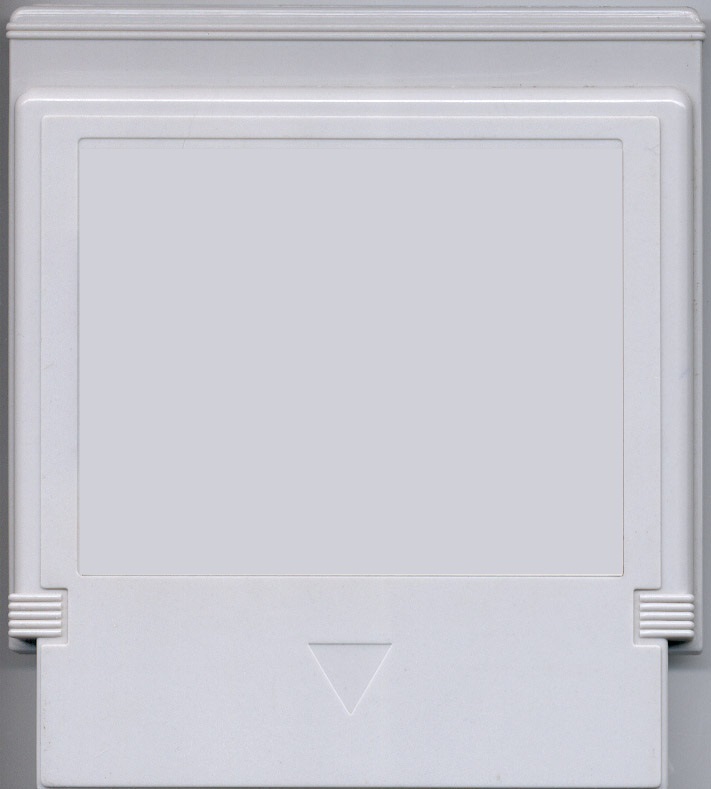 Caltron format, a light grey cartridge, of top borders rounded with a top strip with rough lines to facilitate extraction. 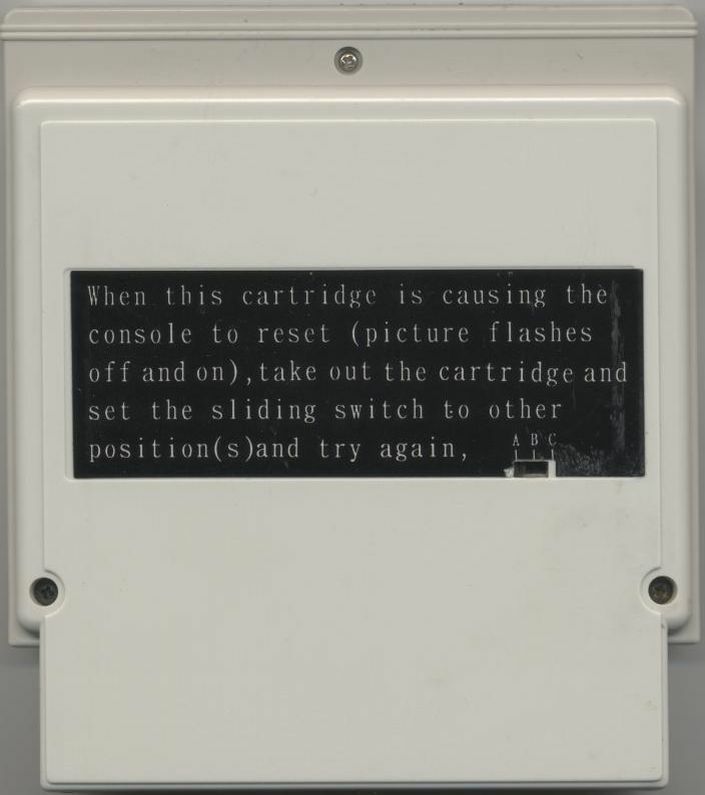 The front part has a little hole (Width x Height in mm: 92 x 74) for a label that occupies almost all the front side of the cartridge. The back side has a hole (Width x Height in mm: 92 x 36) similar to the front one but rectagular and empty, on top of it ther is a little hole also empty (but there is at least a version where it says "NTDEC", found on a "Skate Boy". 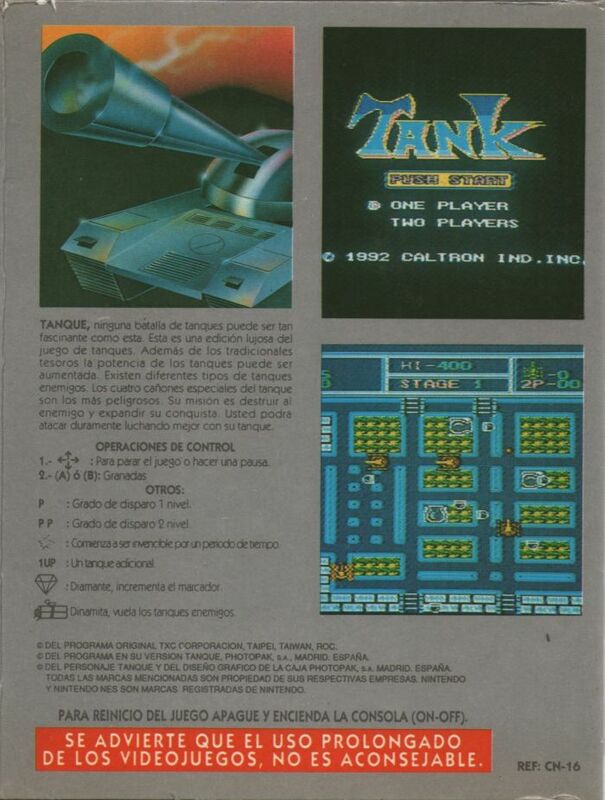 There is a little rectangular hole (Width x Height in mm: 31 x 9) that seems that was for the Caltron models that contained manual anti Lockout Chip circuits and a 3 positions switch came out of it to configure the game for each region of the console. 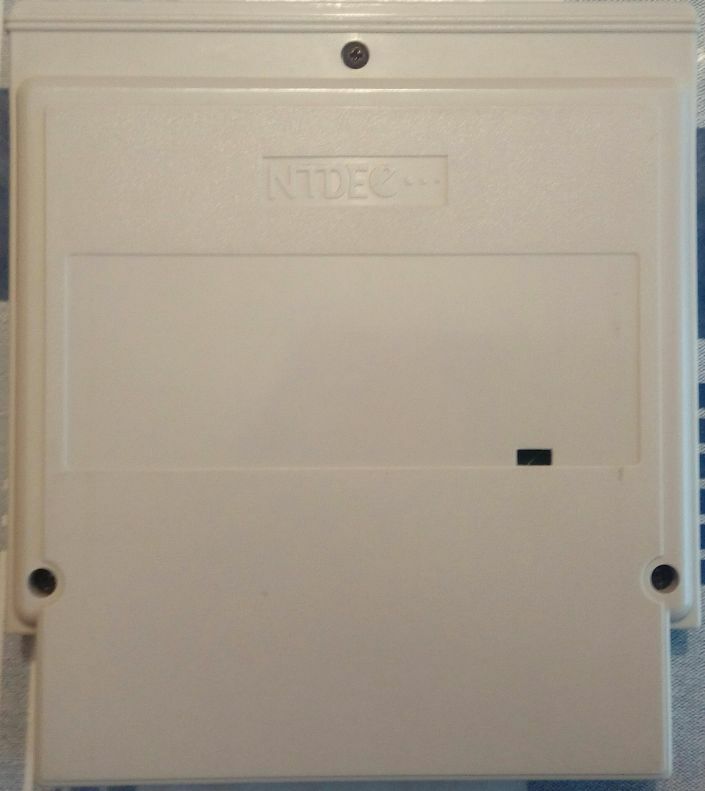 There are 3 holes for the 3 screws that let you open the cartridge, one on the top and two on the sides, some cartridges have black screws and others silver screws. 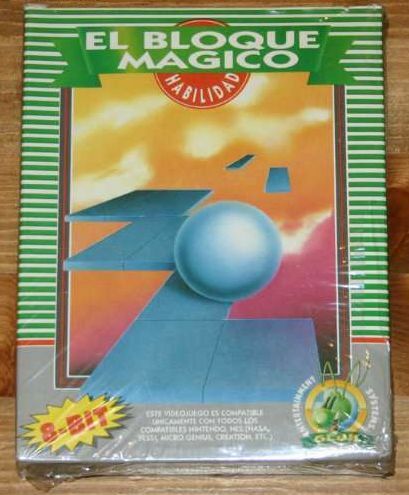 Rectangular labels with rounded borders for the Micro Genius format. 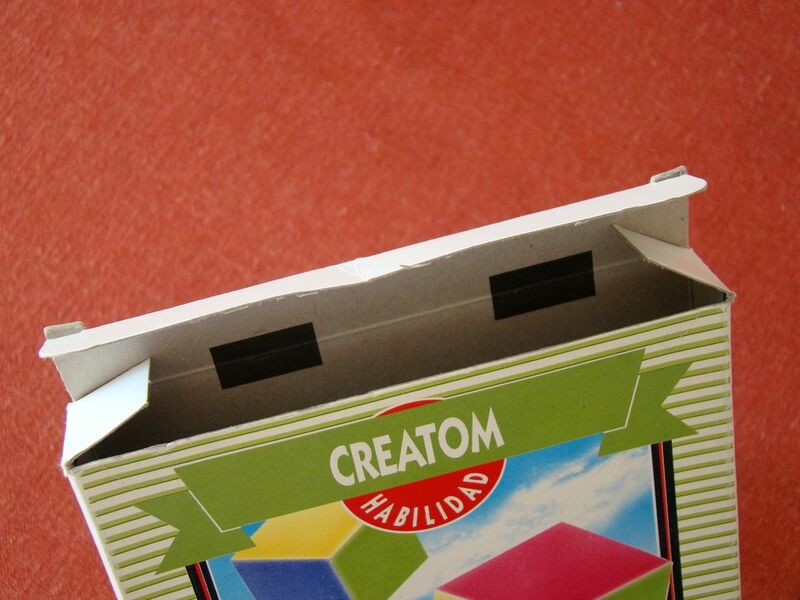 Square labels, bigger for the Caltron format, cover the whole label area. 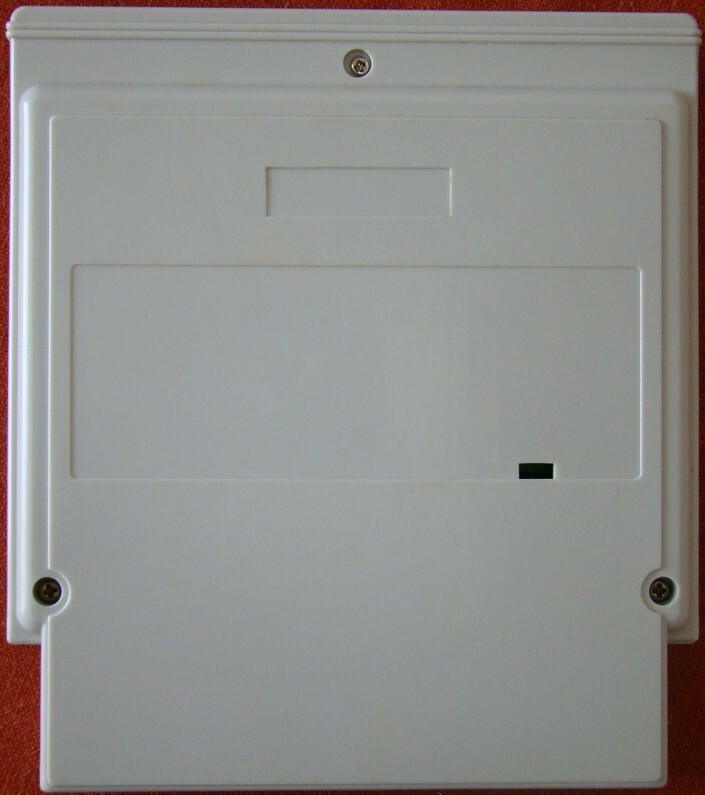 Rectangular labels used on the caltron format but too wide, probably to cut costs on the impression. 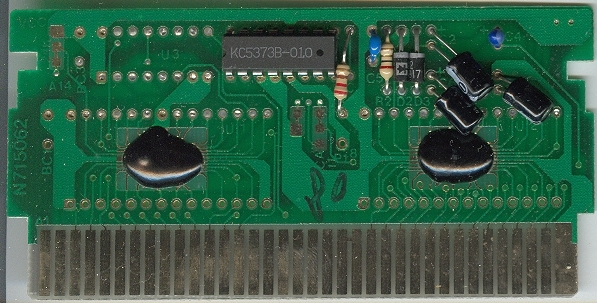 The boards are of 72 pins originally, not like others that used 60 to 72 pins adapters. The boards are great quality, without EPROM nor Epoxy on the memory. 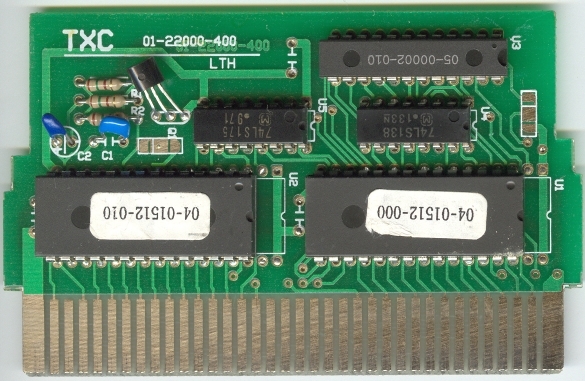 The boards are medium quality, they use EPROM memory. 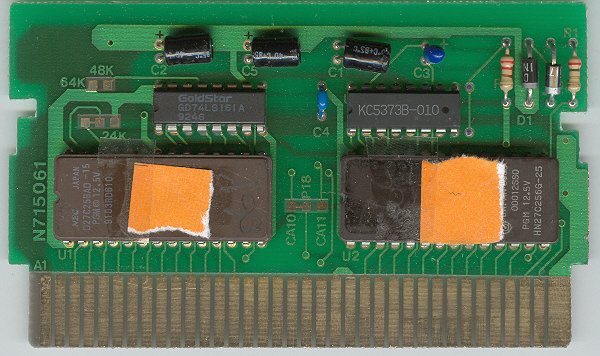 The boards are low quality, use Epoxy on the memory.